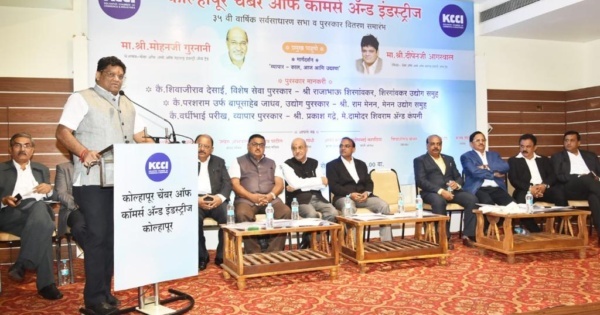 Nagpur: The annual general meeting of Kolhapur Chamber of Commerce and Industries (KCCI) was organised recently. The Chairman of Chamber of Associations of Maharashtra Industries and Trade (CAMIT) Mohan Gurnani and President Dipen Agrawal attended the meeting as chief guests. Addressing the meeting, Gurnani threw light on the topic “Trade – Yesterday, Today and Tomorrow” and said the retail trade in India is facing difficult period due to 100 percent foreign investment in retail. The need of the hour is all traders unite in strength for saving the traditional Indian trade. Be a massive population and developing country, many foreign business house are eying the Indian market. “In the past also, the traditional Indian businesses and trades were invaded by the foreign companies. The liberal Foreign Direct Investment (FDI) police has paved the way for multinational companies to enter Indian market. This ‘invasion’ has pushed the traditional Indian retail trade on the verge of extinction. The government should rethink on FDI in retail,” Gurnani stressed. The CAMIT President Dipen Agrawal said, “Earlier, the trade in India was dependent on moral values and trade ethics. But today’s trade is based on latest and digital system. With the time, the traders will have to change their working. Rallies are being taken out across the country to stop ‘FDI retail.’ The traders have been getting overwhelming response on this count. A united fight against FDI is need of the hour,” Agrawal asserted. 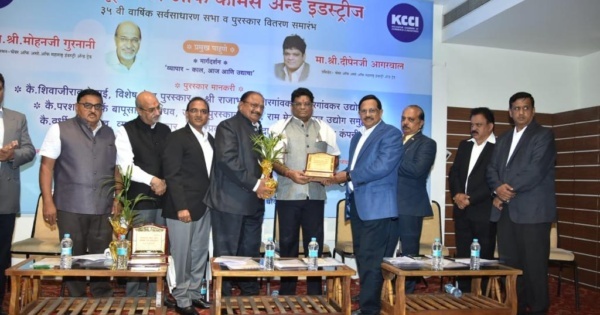 On the occasion, the KCCI honoured Rajabhau Shirgaonkar with Late Shivajirao Desai award for special service, Ram Menon with Late Parashram alias Bapusaheb Jadhav Industrial Award and Prakash Gadre with Late Vardhibhai Parikh Trade Award.